It’s time for a good news for sports quad bike lovers that Honda has proudly launched its new 2018 TRX250X Honda Sports Quad Bike. It comes with a number of amazing features making it an awesome to ride on. This quad bike is full of fun and ensures the best riding experience on all surfaces. It providing the light handling so it is an ideal for beginners. 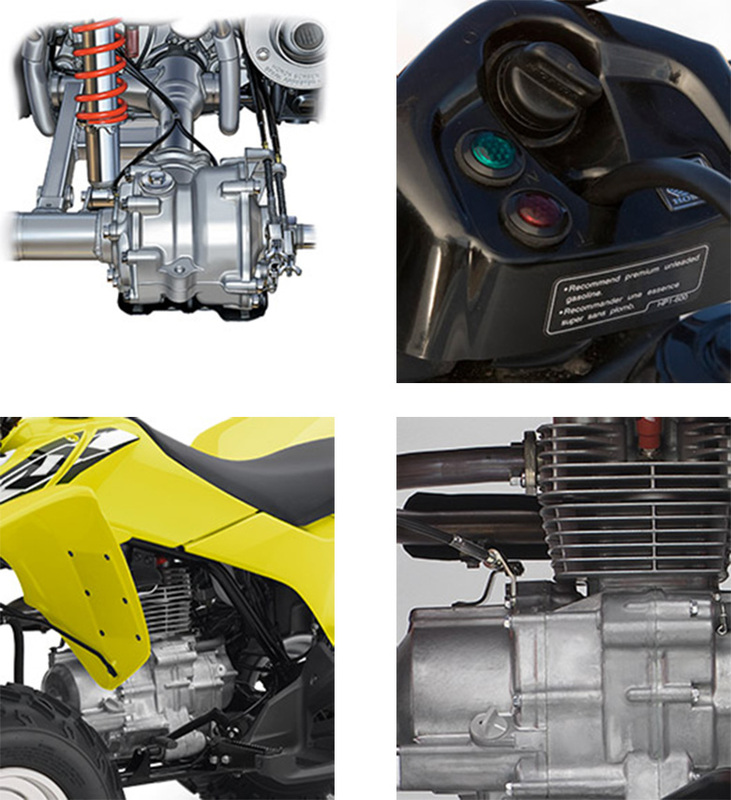 It four-stroke engine provides the massive power in all conditions. The Honda’s exclusive SportClutch makes the ride more fascinating. The unique feature is that rider can control the shift manually. There is a long-travel suspension, which has eliminated the shocks when riding off-road. It’s low maintenance features provides another level of satisfaction to the rider’s mind. The lightweight chassis ensures that it is light enough for smaller adults and big enough for full-sized experienced riders. 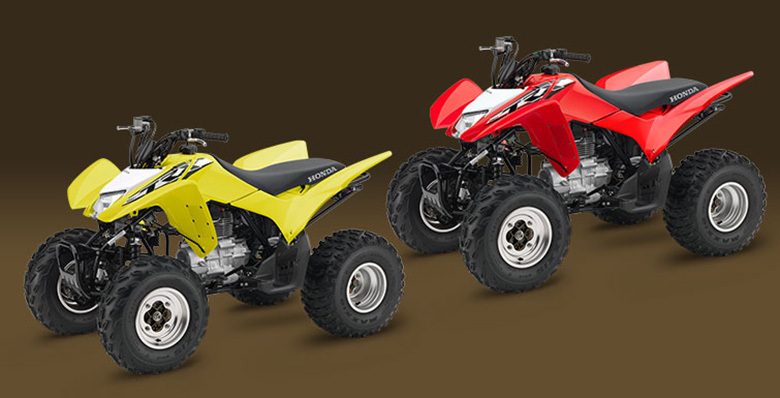 The Best Quad Bike Brand ensures the use of quality components so that riders do not worried about performance. It is instructed that this ATV is for 16 years of age and older riders plus rider must read the manual thoroughly. The review of new 2018 TRX250X Honda Sports Quad Bike with its price and specification are mentioned below. The newly launched 2018 TRX250X Honda Sports Quad Bike comes with the lightweight OHV air-cooled engine of 229cc. The engine is longitudinally mounted, which allows the direct driveshaft alignment to the rear wheels for efficient transfer of power. The new two-valve cylinder head design contains the better-optimized valve timing with new 31.5mm diameter intake valve and 27mm diameter exhaust valve. It contributes to the broader power band of an engine. The use of rubber-mounted engine ensures the minimum vibration. It ensures that parts last longer plus cut down the rider fatigue. The new Honda’s fully sealed rear driveshaft is very strong and is virtually maintenance free. The new driveshaft sits in-line with the new crankshaft of the engine to achieve more efficiency. 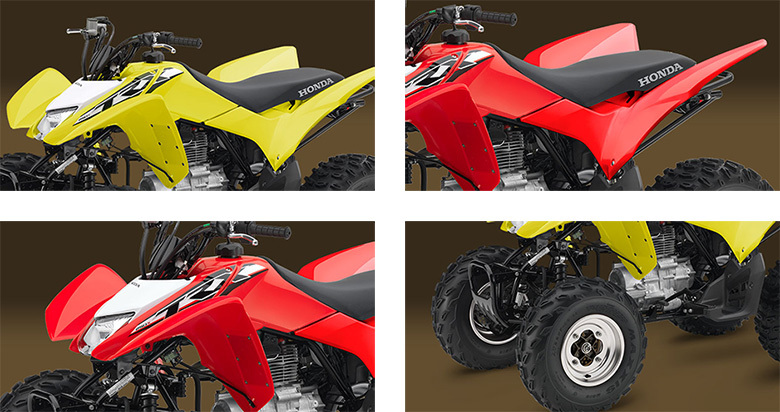 The new 2018 TRX250X Honda Sports Quad Bike features the strong and lightweight chassis. The overall design is quite similar to the 2017 Honda TRX250X Sports Quad Bike. The color combination makes it attractive while the graphics are mind blowing. The seat ensures the best seating position plus comfortable ride. The use of new independent double-wishbone front suspension offers an exceptional travel of 5.9 inches. It guarantees the smooth ride over all kinds of rough surfaces. The lightweight aluminum wheels reduce the unsprung weight for excellent handling. The new 2018 TRX250X Honda Sports Quad Bike comes with the number of amazing features. The new keyed ignition switch adds more security to this Honda ATV. This switch lets the rider control on who owns it. The handlebar-mounted Honda SportClutch allows the rider to experience the manual clutch actuation. This latest technology lets the beginners learn about clutch engagement points while the experienced riders make full use it. The new effortless electric starter makes it easy to start an engine, even in cold. This quad bike has an easy to use reverse, which makes it easy for unloading and maneuvering out of the tight trail. The new 2018 TRX250X Honda Sports Quad Bike comes with the price of $4,749 only. Note This quad bike is recommended for riders 16 years of age and older. Honda recommends that all the ATV riders must take a training course and read their owner’s manual thoroughly. This article is all about the review of new 2018 TRX250X Honda Sports Quad Bike and it shows that it is one best ATV by Honda Brand. Its powerful engine delivers the massive amount of power, acceleration, and torque. The colorful chassis is light in weight with an attractive graphics. The seat and handlebars are carefully positioned. The suspension and braking system ensures the best damping and stopping force. It is an incredible ATV and one should purchase and enjoy its ride.